The National Institute of Advanced Industrial Science and Technology (AIST), one of the largest public research organizations in Japan, focuses on the creation and practical realization of technologies useful to Japanese industry and society, and on “bridging” the gap between innovative technological seeds and commercialization. 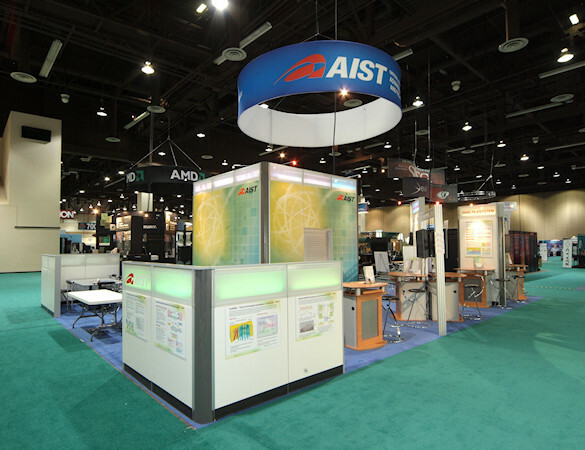 AIST brings together core technologies, has about 2000 researchers working at ten bases across the country, and partnerships with 30 major research institutes around the world. AIST endeavor to bring about an eco-friendly society through sustainable initiatives. 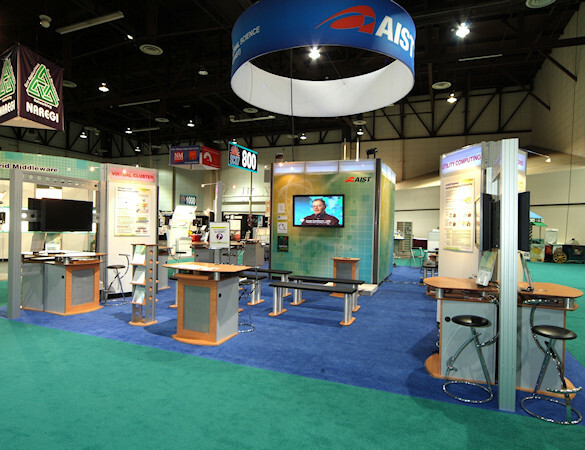 This exhibit, produced by Idea International, appeared at the Super Computer show in Reno, Nevada.